MORE THAN 60,000 passengers travelled to and from Ireland West Airport Knock in September. This is the 2 per cent increase on numbers from the same period last year. Passenger numbers travelling on flights to and from the UK increased for the sixth successive month with passenger numbers travelling on nine of the UK services up by 5 per cent this September. Last month the number of passengers travelling to popular sun destinations increased by a 11 per cent with over 12,000 passengers travelling to destinations such as Malaga, Tenerife, Barcelona, Alicante and Milan. The service to Milan saw an increase of 85 per cent in September, relative to the same period in 2012. 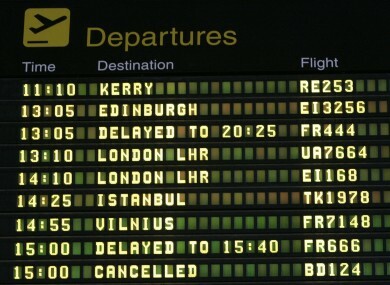 Email “Passenger numbers travelling through Knock airport on the rise”. Feedback on “Passenger numbers travelling through Knock airport on the rise”.